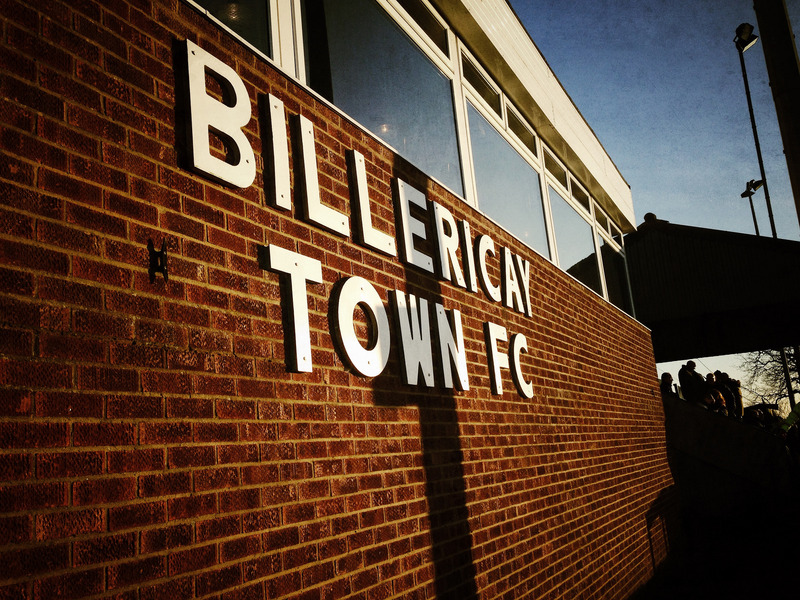 After the euphoria of the last-gasp win in the Sussex Senior Cup it was time to return to Ryman Premier League action with a trip to the purveyors of fine free-flowing football, Billericay Town. Those of us who made the trip to Horsham on Tuesday night were rewarded with a smorgasbord of the elements as well as some late drama to pitch The Rooks into the last eight in the race to reach The Amex. So what better way to follow that than to spend a cold, damp afternoon in mid December than in deepest, darkest Essex craning our necks in the air as the ball by-passes the midfield? At least you know what to expect when you play The Blues. 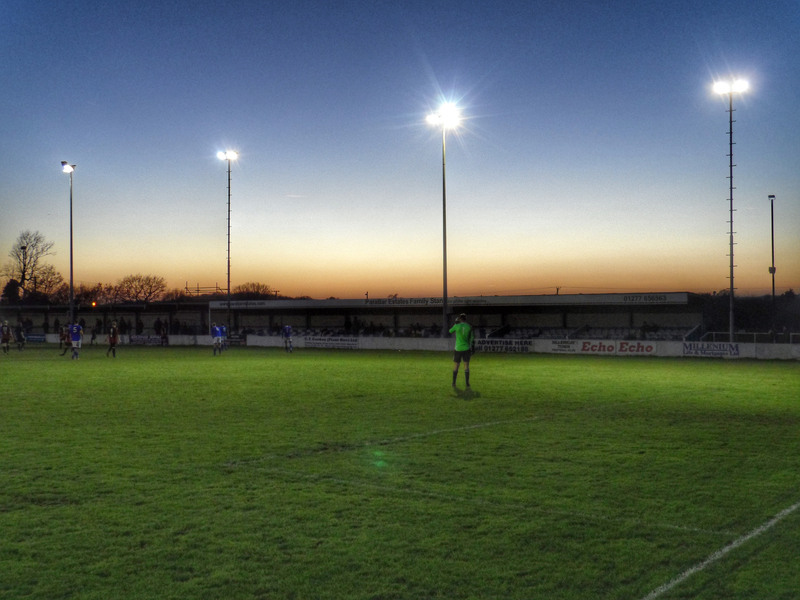 Their manager, Craig Edwards has modeled his side on those of Beck, Basset and Taylor, leading them to the Ryman Premier League title two years ago before they fell from the Conference South just a year later. Whilst The Blues are one of a large pack of “middling” teams in the third tier of English football, they do hold the honour of being the first club to win the FA Vase three times (ticks box of doing research on Wikipedia). Matches between the two sides have hardly been dull in recent years, and if I was a betting man (which of course thanks to The FA I’m not allowed to be) I’d have a sneaky £10 on a red card. Last season it was our captain fantastic, Jack Walder, who saw red. Walder was back from his long-term injury although he would be soon be missing again after picking up a red in his comeback game, playing for a Ringmer last week. 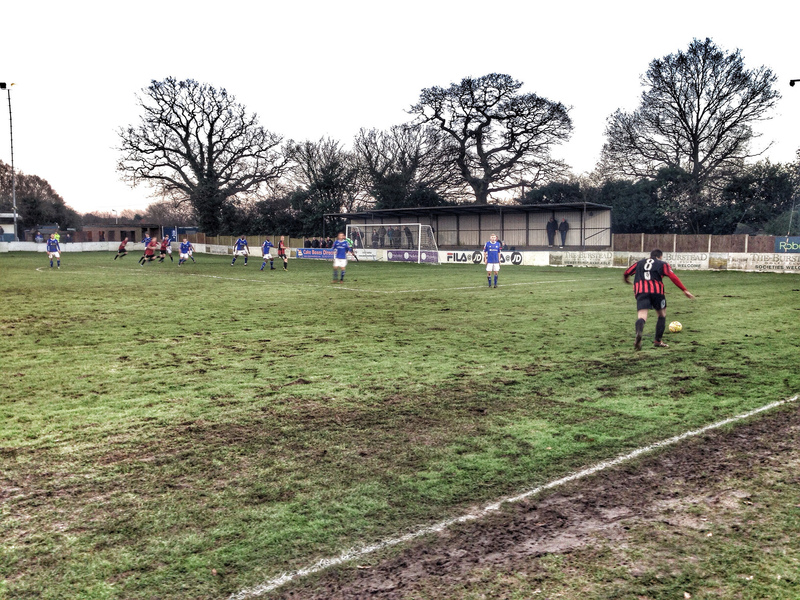 This was to be my last outing to watch the Rooks before Christmas, so there was bound to be plenty of festive cheer as we descended on New Lodge, Billericay’s ecletic ground on the edge of the Essex countryside. Despite the Rooks lowly position, you have to go back to the 19th October for the last defeat in the league. In fact, that bizarre game at Oxford City two weeks ago aside, it had been a pretty impressive run with wins in the FA Trophy and Sussex Senior Cup to go with the unbeaten league run. Deaks had done his homework and found a decent pub in the town centre with a few new ales to sample, including possibly the best toilets this side of the West End. Two (2!) types of hand lotion in the toilets. As Dave said, you expected a little chap to pop out from behind the door with a squirt of Kouros. Not what you’d expect from the location. A swift pit stop on the walk to the ground at Greggs ended in disappointment as they had run out of sausage rolls. That’s like a bank running out of cash, a pub running out of beer or Michael McIntyre managing to actually say something funny. It’s just not British is it? The winter sun was causing us a problem as we walked down to the ground, meaning the toss could be a match decider. Of course, we lost that and Rikki Banks was soon regretting leaving his baseball cap in his car glove compartment. Six minutes into injury time the ball is launched into the Lewes area, surely for one final time. The initial four added minutes that the referee had said he was adding on have come and gone. The ball falls to Lewes’s stalwart Chris Breach, he slips, allowing a Billericay player a sight of goal. Lovegrove dives in, taking one for the team and it’s a penalty. One final hope of all three points stands 6ft 4inches tall. Rikki Banks dives the right way but Richard Halle’s spot kick has too much pace and the wild celebrations from the home side just shows the relief of grabbing a point. Of course we could complain. But on at least four occasions this season the Rooks had benefited from extra injury time to grab valuable points or progress in the cup competitions. As they say, these decisions even themselves out over a season. 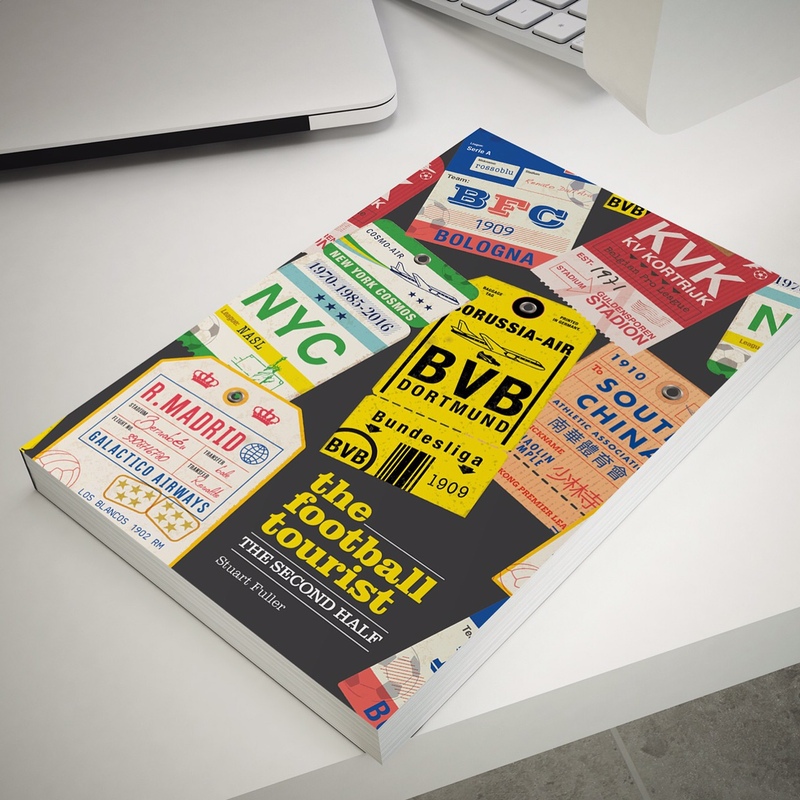 It hurt – don’t get me wrong, but that’s football. Despite dominating the opening exchange, including hitting the woodwork before we’d even picked up our chips from the refreshment kiosk, Billericay faded in the first half as Lewes simply out-passed them. There was no surprise when The Blues took the lead, although it wasn’t the long ball that led to the goal, rather than a powerful run from Sappleton through the middle of the Lewes defence before slotting home with ease. 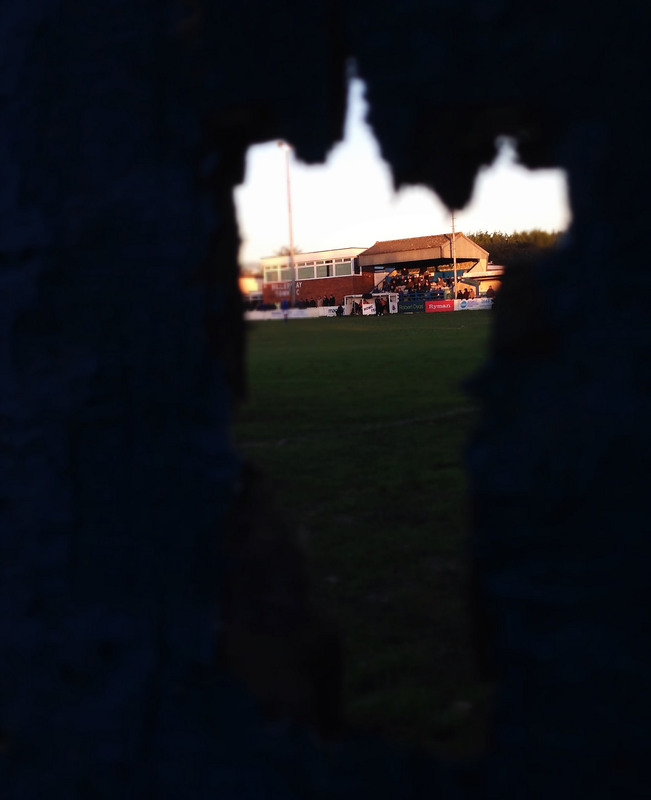 Despite the state of the pitch, the Rooks looked to play the ball behind the Billericay back line with new signing Fraser, Davis and returning skipper Walder dominating the middle of the park. Confidence grew, chances came and finally so did the equaliser. Davis to Fraser to Cole, running onto the ball in the area and the ball was in the back of the net. Tails up we went for another. Davis showed his dancing feet when the ball appeared to get stuck in the mud, shifting his weight from left to right, wrong-footing the defence and calmly slotting the ball into the net. Lewes were rampant. Blewden beat the offside trap but the final obstacle, the pitch, beat him. The second half was a tighter affair with both sides struggling with the conditions. Billericay were reduced to ten men when Sappleton went in late on Fraser, the subsequent handbags essentially costing Lewes their victory with the time being added by one of the better referees we’ve seen at this level this season. 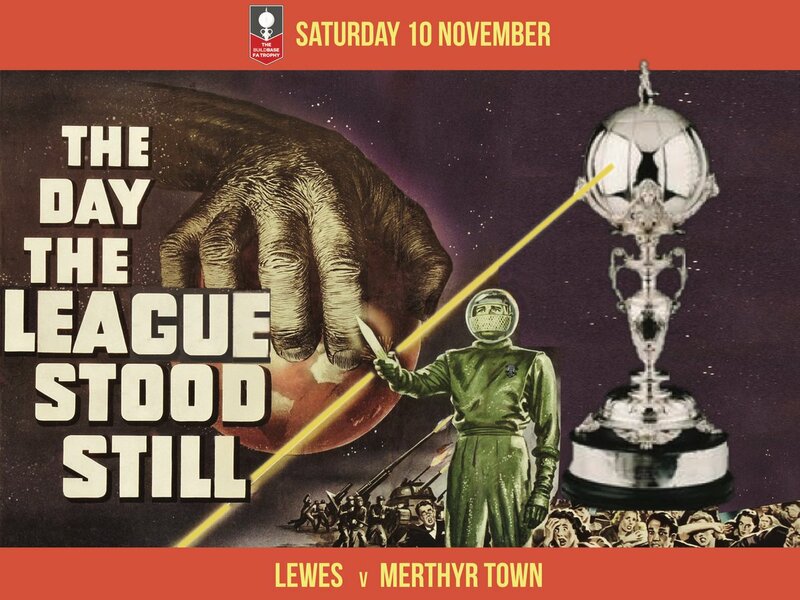 The final drama certainly gave us our money’s worth and no Lewes fans can really complain at the last gasp decision. We’d done our homework, stuck our game plan and came away with a moral victory if not with all three points. Postscript: the title of today’s report relates a line from the song All Together Now, describing the events in The Somme from 100 years ago. This entry was posted in Lewes FC, Non league football, Rymans Premier and tagged Billericay Town, Lewes, Ryman Premier League. Bookmark the permalink.